When it comes to beauty, I truly believe in the « less is more » motto. Don’t get me wrong, I love to pamper myself like the next girl, but I mostly save this for bigger events. In my everyday life, I like to keep things simple and quick. Since my skin doesn’t need a significant attention, I follow a light routine. In the morning, I will basically just rinse my face with water. I know that many of you do not use water to clean their face, but personally I’ve never noticed a difference. Plus I like to feel my skin really « clean » and fresh. I then apply my eye cream from Clarins and some moisturizer on my face and neck. 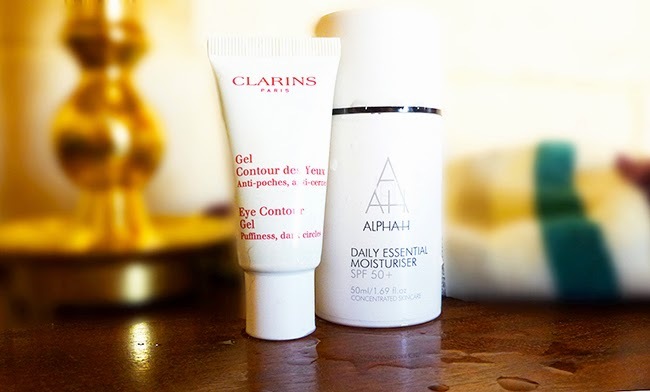 Currently, I am using the Daily Essential Moisturiser from Alpha-H, because it contains an SPF 50+. I recently moved to Malta, which is a mediterranean island, and trust me, I really need this… Since it’s summer time, I absolutely recommend this product to everyone looking for a good protection. The cream is not too thick and penetrates the skin quite quickly. More enjoyable than applying an average sunscreen product. At night, I always clean my skin with cottons soaked in cleansing water, even if I didn’t wear makeup during the day. 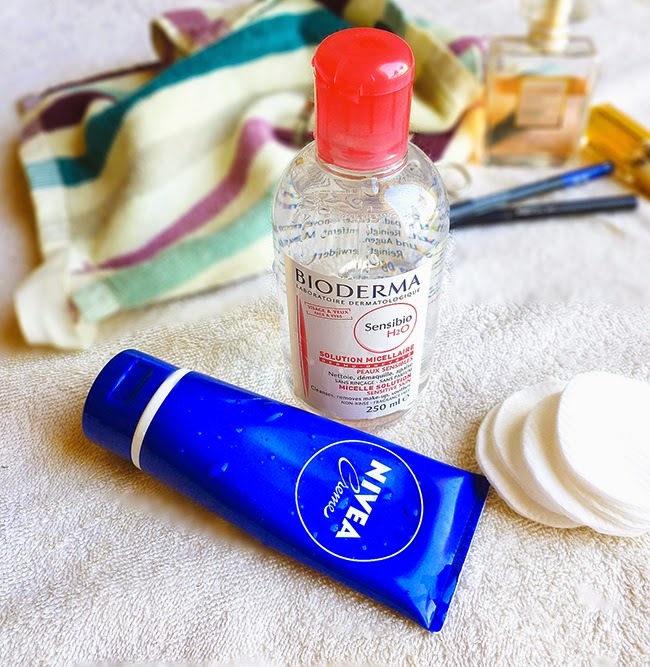 I use the Créaline from Bioderma which is really great and doesn’t leave you skin sticky. Good point ! Most of the time, I rinse my face with fresh water afterwards, and I apply a generous amount of moisturizer. At the moment, I use the famous and timeless Nivea cream. This product truly nourishes the skin, but since it leaves my face a little bit oily, I only use it at night. I complete my routine with a good lip balm that I keep on my lips overnight. I scrub my face about one time a week. I use a mixed of sugar and olive oil, or my boyfriend’s scrub when I am too lazy (oops !). I don’t do masks as often as I should (oops bis). I barely do one every month. I don’t have a go-to mask, but I always do them myself with fresh products from the kitchen. There are plenty of recipes on the Internet. I will soon prepare a post with my favorite ones. I know that this skincare routine may seem really light to some of you, but this is what works the best for me. Tell me more about your beauty routine in the comments below ! I clicked submit my comment didn’t appear. Grrrr… well I’m not writing all that over again. Anyhow, just wanted to say wonderful blog!